'Rules are meant to be broken,' claims Ryan Reynolds' mouthy mercenary Wade Wilson, aka Deadpool, as he makes a rip-roaring return in the sequel to 2016's surprise smash. 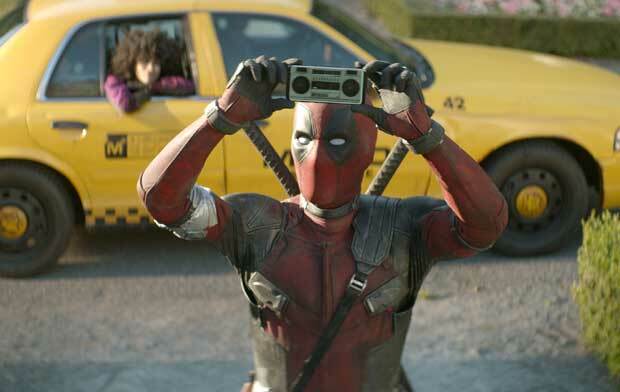 Filthy, ferocious and funny to a near-indecent degree, Deadpool 2 bests its predecessor by doubling down on the gleefully self-aware source comics' idea that anything worth doing is worth overdoing: excess and escalation are, essentially, in its DNA. There are narrative stakes, of sorts, smuggled in with screenwriters Rhett Reese and Paul Wernick's mission to make sides ache (they are joined this time round by Reynolds himself). Director David Leitch (Atomic Blonde, uncredited for his work on John Wick) attacks his job with gusto right from the pre-titles set-pieces, where Deadpool slaughters armies of goons before spoiler-y tragedy splinters his own life. Reduced to moping and quoting George Michael's 'Careless Whisper', Wade finds renewed purpose when encounters with wayward mutant kid Russell (Julian Dennison) and vengeful cyborg-from-the-future Cable (Josh Brolin) test his question: is family more than just an F-word? Even if the plot threatens to buckle like Wade's back after a nasty fall, the comedy-infused action braces it for impact. In-jokes and cameos hurtle at you faster than Cable shatters enemies' arms; the set-pieces, meanwhile, come served with aggressively expansive, duly outrageous (two words: baby legs) exuberance. Doubters might ask if any over-15s film needs so many gags about butts, yet the seamless merger of tones and characters does show skill. If the cast-list is more tightly-packed than Wade's spandex, Reynolds' wisecracker, Zazie Beetz's scrappy mutant Domino, Karan Soni's cabbie Dopinder and Brolin's taciturn Cable all get a chance to shine, setting us up for the surprisingly touching climax, which teases a third instalment. Reynolds has said there may not be one. But Wade-watchers will be eagerly awaiting his return after this loud, lewd blast. General release from Tue 15 May.